Mixing decks badge. Are you a keen DJ? do you love playing the old school vinyl? 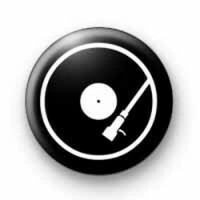 Turntable 25mm button badge a great purchase for all you music lovers out there.